Omni-channel marketing is being touted as the ‘next big thing’ for all sorts of B2C businesses; and increasingly B2B companies too. Some retailers are already implementing this form of marketing in a very effective manner; others are trying and failing; still more have not tried at all. For bricks-and-mortar businesses, it’s a crucial element to remain competitive against low overhead online brands. It sounds like your typical clichéd marketing buzzword, but unlike most industry jargon, this one actually stands for something really quite crucial. Omni-channel marketing is all about shifting towards creating a seamless experience that is consistent across all channels and devices. Think about where your customer touches your brand, and you’ll start to get an idea of just how far reaching this type of strategy really is. Take a clothing company, for instance. Customers can interact with them in their bricks-and-mortar shop, on their website, via direct mail and over the phone. They can engage on their social media channels, via their catalogue or through their mobile app. If they want to talk to the company, they might call them on the phone, email them from their laptop, web chat with them on their tablet or DM them on Twitter. Each and every one of these experiences should be consistent and complementary for that customer. Omni-channel and multi-channel are often used interchangeably, but actually are two very different things. Multi-channel marketing is all about selling products to customers on more than one channel. Companies tend to focus on each channel separately and to deliver a customer experience which is quite different depending on the channel. Easier to manage from an organisational viewpoint; more confusing from a customer’s perspective. Omni-channel marketing puts the customer first. It allows customers to use multiple channels seamlessly, and even makes switching between channels and devices effortless. For example, examining a product in store while looking it up on a smartphone is becoming more commonplace. If the store is focussed on an omni-channel experience, they might support this by providing WiFi in store and placing QR codes on products. In many ways, an omni-channel strategy really connects the dots for the client. A brand that does this well is Apple; whether you pick up a product, walk into a store or find them online, you already know how the experience is going to be. Research has shown that companies using omnichannel strategies retain around 89% of their customers, compared to just 33% for companies who don’t. 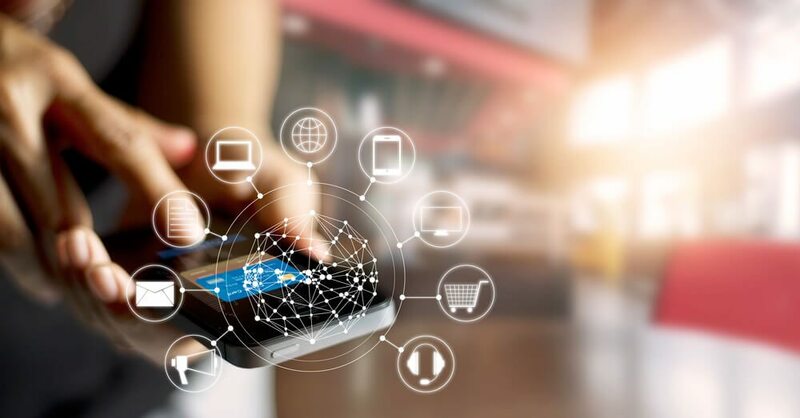 The message is clear; omni-channel is here to stay, and if you want to keep up with the competition and build customer loyalty, you’re going to need to build this into your next marketing strategy. Your customer expects to be able to find you everywhere, and needs to receive a consistent message across every channel if you want to deliver a truly customer-centric experience. Don’t just walk a mile in their shoes; walk ten. Be the customer, and take yourself through the experience they have when they’re trying to research, connect with and purchase your products (or services). Know who they are; where they live, what they do and want their motivations are. Think about psychographic information as well as demographic, and engage with external testers to get some independent feedback on the shopping experience. Never before have we had quite so much data at our fingertips. From activity on our website to likes on our social pages, from customer feedback to email marketing statistics. It can be all too easy to simply gather all this data, without really knowing what to do with it next. Developing an amazing customer experience is all about constructing genuine, accurate profiles of individual customers, so using this information wisely is going to be key to your omni-channel success. The whole point of omni-channel marketing is for the campaign to be visible across every channel. This means you need to equally spread your efforts between all the customer touch points that you own, whether that’s email newsletters, TV advertising, social media or online banner ads. People often use multiple channels and different devices during the purchase process. They may browse your products on their laptop at home. Later they may pick the product and put it in their cart, but do not check out. A few days later they look again at your website from a different device. Google’s VP of Display Advertising, Neil Mohan, said that “90% of consumers start a task on one device and then finish it on another”. Your challenge is to ensure that your customer has a seamless, consistent and enjoyable experience no matter which channel or device they are currently engaged on. Successfully adopting an omni-channel marketing approach requires a complete suspension of old-school thinking. It might sound straightforward, but has proven for many to be quite a challenge. In many cases, the entire marketing process has to undergo a shake-up. If you’re confused by omni-channel marketing or want support to launch your own campaign, talk to us for expert, professional advice.